Will Algeria's Bouteflika resign over protests? 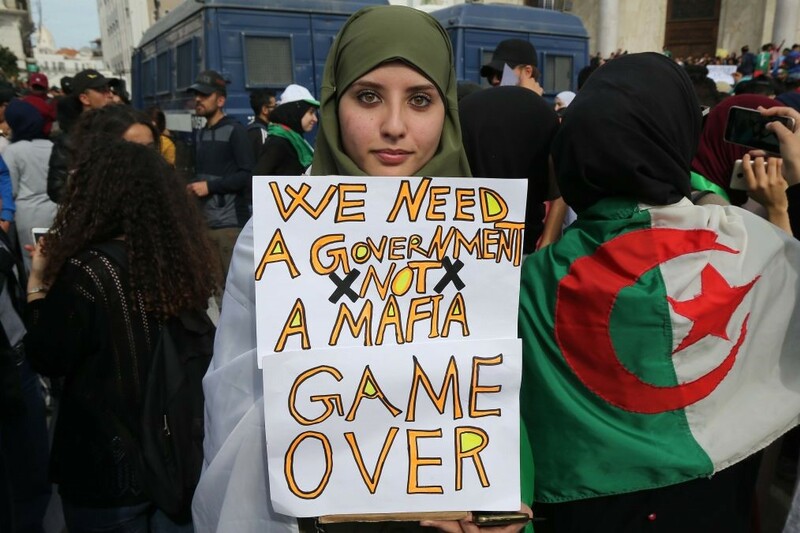 Hundreds of thousands of protesters continue marching in the streets all across Algeriafor the fifth consecutive week, demanding immediate resignation of ailing president Abdelaziz Bouteflika, after the military commanders joined the demostrators in a call for political change. The move ammounted pressure on Bouteflika, who has failed to appease Algerians by reversing a decision to seek a fifth term. President's allies have already abandoned his side, joining the protest movement. Protesters have ambitious demands in a country long- dominated by veterans of the independence war against France who are seen by many Algerians as too old and out of touch. They want to replace the establishment with a new generation of leaders capable of modernizing the oil-dependent state and giving hope to a population impatient for a better life.